July 10, 2012 • Heidi Shenk • "year of the house"
I'm back with another Year of the House installment. 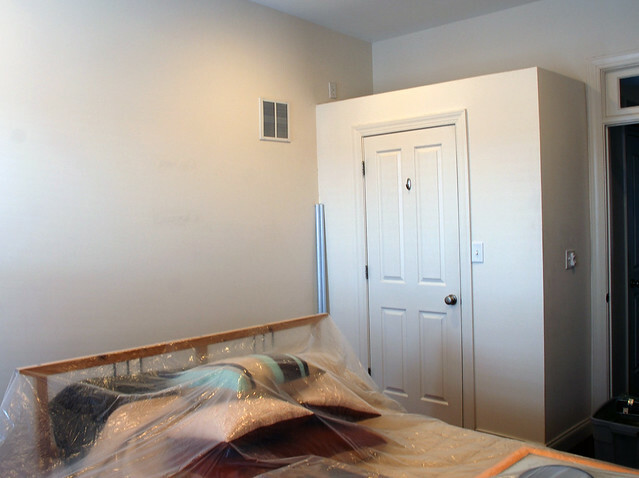 I mentioned yesterday that we painted our bedroom this past weekend, so I am sure you have been on the edge of your seats waiting to see what it looks like. This is the first step in turning this room into something that we like. 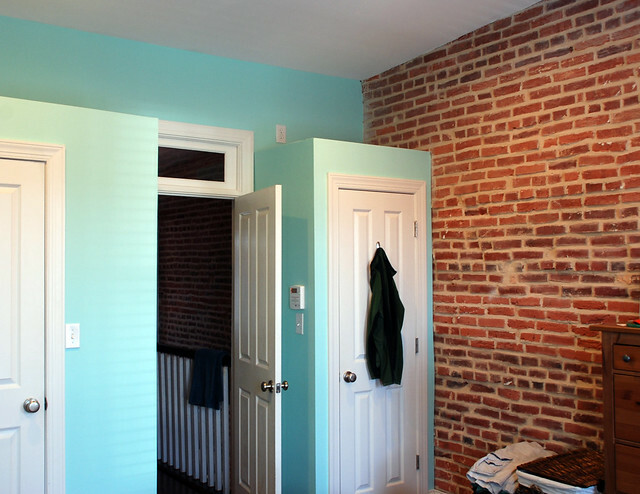 It was one of the last rooms in the house that needed paint. We definitely like color in our home. We also like wood finishes, so we needed to choose a color that would compliment wood. Our plan is to eventually put in wood trim and baseboards in place of the plain white trim. And we also hope to get some furniture to replace our mismatched IKEA pieces. One of our goals for the total make over of this house is that we stray from cheap IKEA-type furniture and invest in pieces that will last much longer and don't contain particle board. Basically, it it has particle board, it's not an option (snobby, snobby, I know). 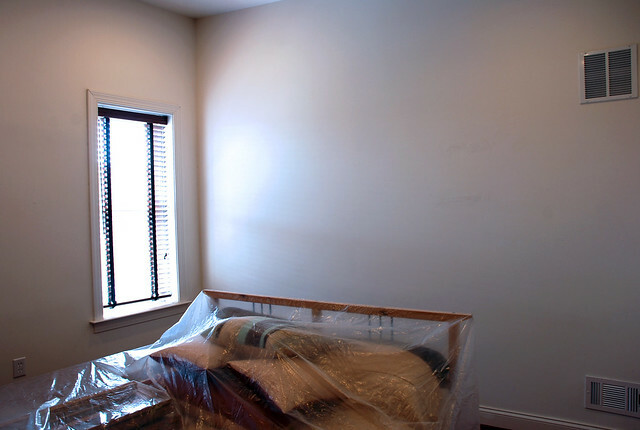 Here are the before photos of our room that I snapped while prepping for paint. 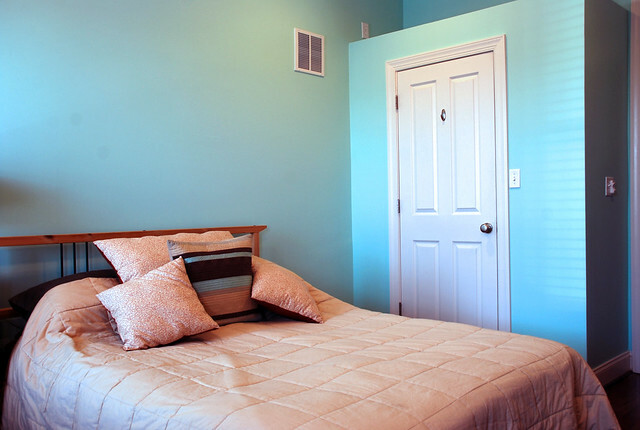 Rest assured that the aqua on the walls is much softer than some of the photos lead you to believe. 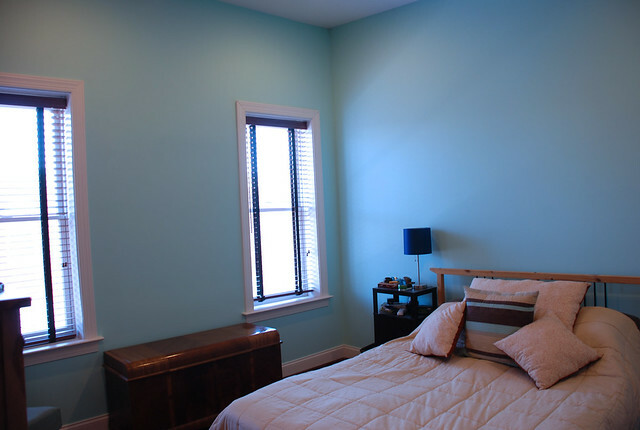 After taking a look at that last shot it looks like we painted our room bright teal. Nope. Not the case. I already had to live in a room like that for a semester while in Australia and I don't think I could do it again! See, I told you. The walls wouldn't stop glowing when you turned the light out to go to sleep. Anyway. Next on the list is finding some furniture. We've been looking at nightstands and have found a few that we like. All are very mid-century modern. Our favorite is the Crate & Barrel one which has some rustic appeal to it as well. Andrew pretty much has his heart set on getting two of those. Then he thought we should get the matching bed and dresser as well. And now is when I should let you know that you need to buy some of my cards so that I can afford this furniture. Just kidding. Actually, maybe not. 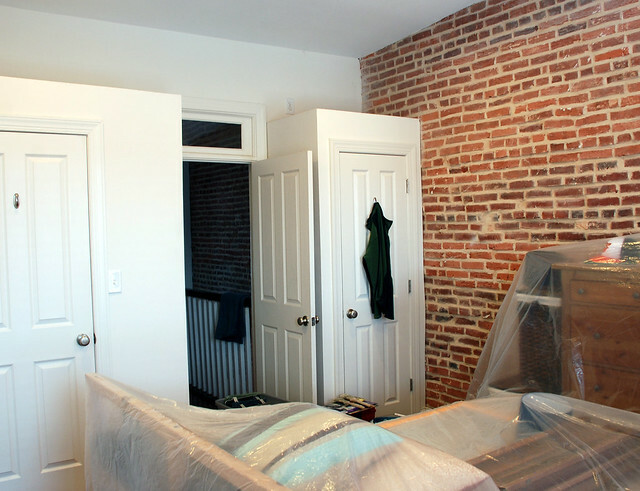 What sorts of home improvement projects have you been working on lately? Any room redesigns?